A 20-year-old Tijuana college student was sentenced in San Diego to more than seven years in federal prison for smuggling 78 pounds of fentanyl into the U.S. last December. Flavio Diego Rivera Davalos pleaded guilty in March to a drug importation charge, admitting that he attempted to drive through the San Ysidro port of entry with fentanyl in his car. 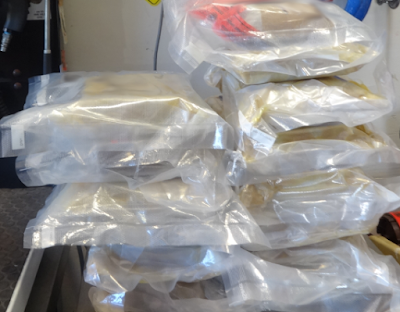 The haul was the largest single fentanyl seizure at any port of entry. 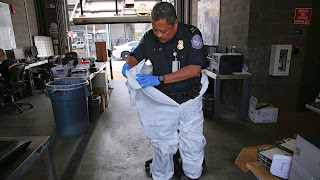 Last week, CBP officers intercepted a 19-year-old U.S. citizen attempting to cross the border in San Ysidro with 61 pounds of methamphetamine, 14 pounds of heroin and 11,490 fentanyl pills. Prosecutors said it was the largest-ever seizure of fentanyl in pill form at a U.S.-Mexico port of entry.